“Should I buy the Xbox One or the PlayStation 4?” It’s a question we’re asked ever so frequently. More so since both consoles became readily available. The answer is “none just yet” and here’s why. At an MRP of Rs. 39,990 for either the PS4 or Xbox One, they’re not exactly cheap. Customs duties and retailer margins ramp up Indian pricing tremendously. However one can’t help but feel cheated. This is because it’s almost half the price in other markets, most notably the US where the Xbox One is already $350 (approximately Rs. 21,500) and the PS4 is $400 (approximately Rs. 24,500). 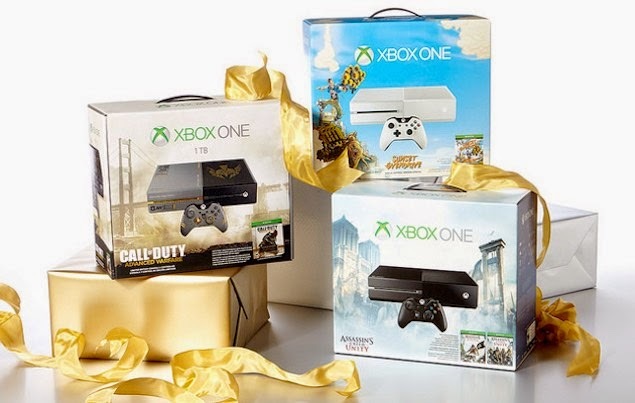 These are some of the Xbox One bundles for the US starting from $350 onwards. Yes, getting it via the grey market is an option as is cajoling a friend or relative to obtain one for you from another country. But the lack of international warranty makes that a risky affair. This is alleviated somewhat by Sony letting you pay a nominal fee to replace consoles bought from PAL territories. Though in most cases the price difference of around Rs. 5,000 between buying in India or places like the UAE isn’t that much to justify the trouble. Which brings us to point number two. During Diwali, the Xbox One was 20% off on Amazon. Retailers both online and offline have been selling the PS4 for as low as Rs. 36,000. It’s a sign of things to come. Before you know it both the PS4 and Xbox One would get permanent price drops so don’t feel too bad if you missed out on these deals. 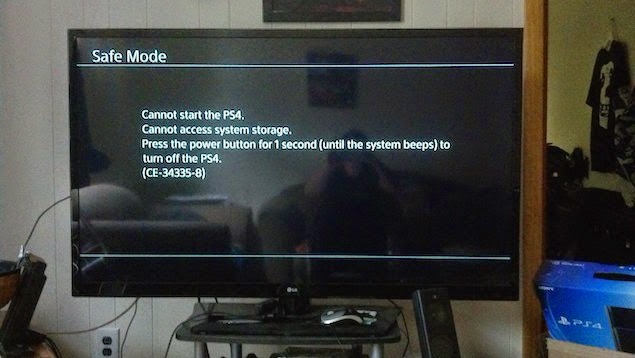 We’ve already seen this happen with the PS3 and PS2, so it’s just a matter of when, rather than if. 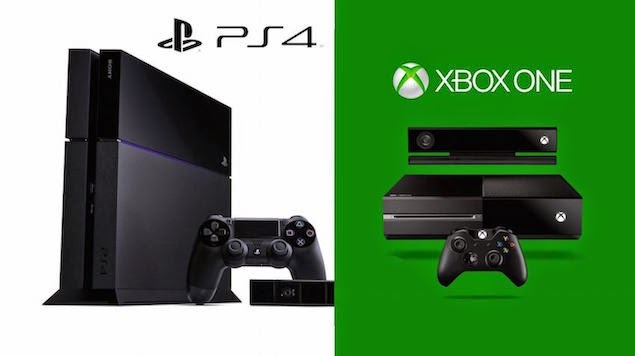 Both the PS4 and Xbox One have some nifty features aside from playing video games. These include letting you download games and updates while they’re in standby mode or letting the world know how abysmally pathetic you are at Call of Duty: Advanced Warfare by the powers of streaming. Although they aren’t exactly stable. While Microsoft’s Larry Hyrb aka Major Nelson claims that hundreds of new features have been added to the Xbox One via updates in its first year, some of these have ended up killing critical functions. Most notably, September’s update that rendered many users’ disc drives useless and October’s update made the system’s much touted ‘instant on’ feature an instant fail. It’s not all peaches and cream on Sony’s side of the fence either. The company’s 2.0 update to the PS4 which finally brought the ability to pause a download (it only took the better part of a year) simply bricked some PS4s outright. Oh and post-update, there’s a good chance that putting your console in standby mode (now called rest mode) would require you to hard-reboot your console to get it working as it should. Needless to say, you’d be better served waiting till newer revisions of both consoles are out or deep discount before jumping in. Let’s be honest, Rs. 4,299 for the privilege of swinging around picturesque Sunset City in Xbox One exclusive Sunset Overdrive isn’t cheap. Neither is the Rs. 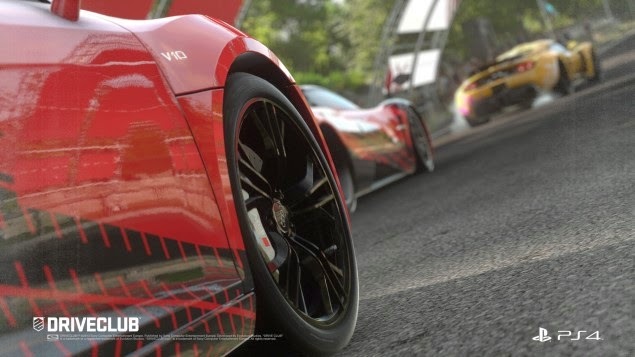 3,999 for Driveclub when it hits the PS4 later this year in India. With low-end Android devices costing as much, why should games be this expensive? Things are slightly better if you’re looking to pick up games from third party publishers like Ubisoft who have games such as Watch Dogs and Far Cry 4 that aren’t priced more than Rs. 3,499. If you do end up using either PlayStation Plus or Games with Gold, you’ll be saddled with a slew of games to download. If you have any intention of actually playing them that is. This makes a fast and stable Internet connection a mandatory requirement in addition to your console of choice. High profile games such as Call of Duty, Grand Theft Auto V, and Assassin’s Creed Unity weigh in around 40GB to 50GB. So if you’re planning to go all digital, keep in mind that any savings to be had by forsaking a disc is all but lost on downloading games in a country like ours. 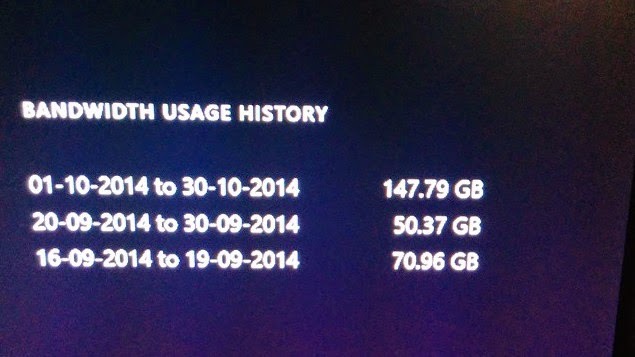 This is our bandwidth history on using the Xbox One and it’s not a pretty sight. Most broadband plans in India get downgraded the moment you’ve downloaded a stipulated amount of data (which is paltry at best). Plus, most game updates are huge as well. Most notable being Halo: The Master Chief Collection having a 20GB day one patch, you’ll be through your data cap before the month is up. Forget about streaming YouTube videos or downloading music if you plan to use your internet connection to fuel your gaming needs. 2014 is a lot of things but it’s notably the year of the remaster. We’ve seen a sprinkling of high-definition goodness to well-loved games from yesteryear such as Halo, Grand Theft Auto V, Tomb Raider, Sleeping Dogs, The Last of Us, and Diablo III. While they’re great games to revisit, they don’t bring anything new to the table in the way of gameplay and in some cases don’t have anything more than pretty graphics. Meanwhile, new games like Assassin’s Creed Unity and The Evil Within, sport solid gameplay are set back by technical issues. If you’re spending around Rs. 40,000 on a box to play video games you’d want everything to work flawlessly but this isn’t the case. 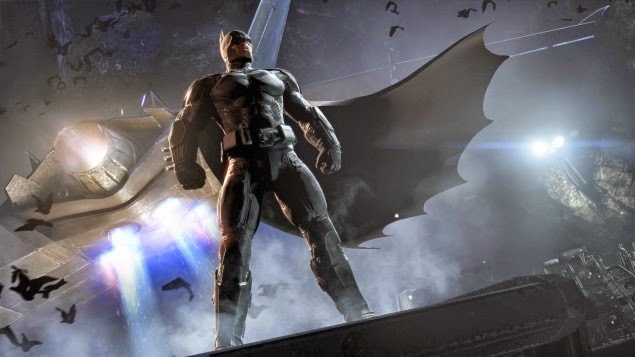 The most technically proficient games are remasters and the heavy hitters we deserve such as Batman: Arkham Knight, Dying Light, and The Witcher 3 have been postponed to next year. Which just underlines our point. Stick to your PS3 or Xbox 360 if you own one. Both sport a healthy back catalog of cheap and easy to find titles. Even new games such as Pro Evolution Soccer 2015 are fairly priced at Rs. 2499 for either console. There’s more than enough to keep you busy till “real” next-gen (or current-gen if you already own an Xbox One or PS4) games show up. You could just sidestep the entire debate by building a PC or having one built for you. Previous OnePlus One (64GB) review: Flagship killer or not, at Rs 25,000 you cannot go wrong with this!